Today is the anniversary of the execution of King Charles I of England [1600-1649]. Seventeenth-century England was a kingdom much atuned to the significance of tokens of death, apparitions, and other omens. It was treason to predict the death of the King, so stories like those below would have been whispered, rather than published abroad. A much later chronicler of the paranormal gives examples of dire portents of this unhappy event said to have been reported during the King’s life. An anecdote, which was current during the reign of King Charles I., and has the support both of Archbishop Laud and Lord Clarendon, is said to have thrown a sad gloom over the spirits of the royal friends, already saddened by the fearful pestilence which inaugurated his reign. At the coronation it was found that there was not in the whole of London, nor indeed in the whole of England, sufficient purple velvet with which to make the customary royal robes and the corresponding furniture of the chair of state and throne. What was to be done? Rigid custom, coming down no doubt for long generations, possibly from the time of S. Edward, required that old traditions should “be scrupulously observed and carefully followed. What was needed could not in all probability be had nearer than Genoa. To obtain it would have caused a delay of several months: and it was agreed that the solemn anointing and coronation could not be properly postponed. So it was resolved to robe His Majesty in white velvet, from which he was known afterwards as “the White King.” But this was the colour in which victims were arrayed. So many persons maintained that the Council which had sanctioned such an innovation had unwittingly, perhaps, but efficiently established an agency of evil; and many more after the King’s martyrdom recalled the ominous change. Young as thou wert in dangers—raw in war! Prelude of bloody fields and fights to come. 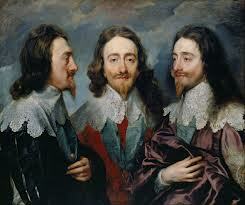 Sad Stories of the Death of Kings The van Dyck triple portrait of Charles I from which Bernini created his bust. On the day of the King’s burial, when the coffin was borne to S. George’s Chapel, Windsor, by tried and trusted subjects and servants, it was carried through a severe snow-storm, and the purple pall was covered with the whitest snow, thus adding a fresh reason for the title by which His Majesty had been known. 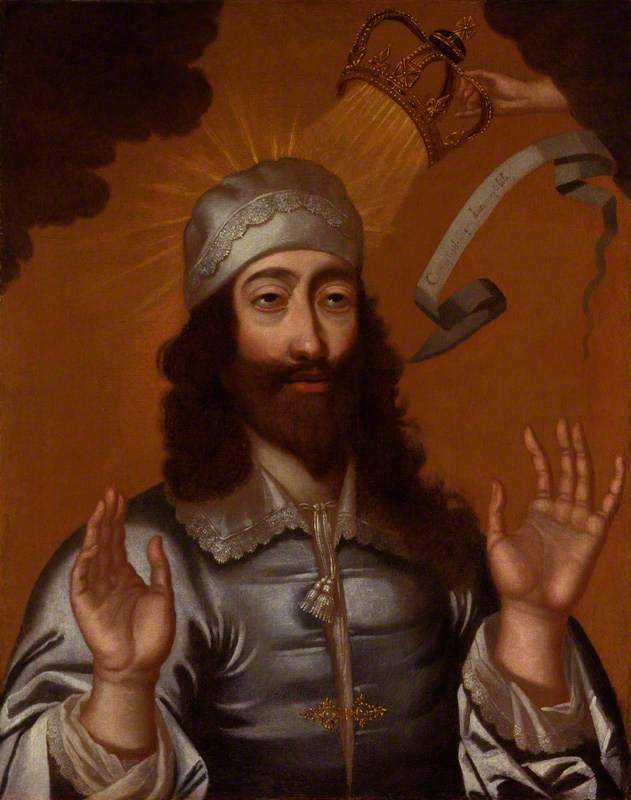 This site: http://anglicanhistory.org/charles/skcm_pamphlet.html, on the cult of King Charles the Martyr, says that the King was called The White King because he wore a long shirt of white at his coronation–symbolic of the robe of martyrdom. I’ve been rummaging in my files trying to find a story of another portent that supposedly took place in Charles’ nursery, where a mysterious veil was seen to cover his cradle. Ah, found it! Other sad stories of the death of kings? Chriswoodyard8 AT gmail.com.